as we are getting closer and closer to Christmas, all the planning and preparing is going down. do I have a well-stocked fridge so I don’t have to brave the pre-Christmas food shop craziness? do I have a fresh set of fake lashes for my Christmas makeup? can I squeeze in a last minute nail appointment? its no surprise that I like doing makeup and I like planning and playing to make sure I have a lovely look for Christmas Eve. 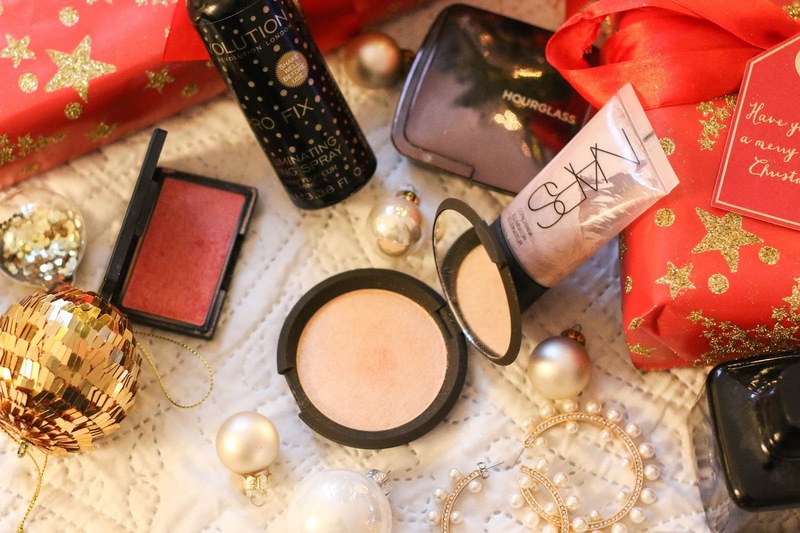 what I think is essential for a perfect Christmas look is the glow. we do our gift giving on Christmas eve and we like to have the fire going, only the tree and candles are lighting up the room and that very dim light makes a glowy complexion look even better. sephora recently opened in Berlin and I went last week to pick up one of the most cult and hyped products. it no other than Becca champagne pop. I wanted to get a new highlighter for a while now and I actually wanted to see what the hype was all about and I treated myself to it. it’s a pricey product but its actually huge. can anyone ever use it up? it’s the most finely milled and shimmery powder that leaves no powdery look. just shimmer, no glitter. it’s a true golden champagne colour and looks beautiful. 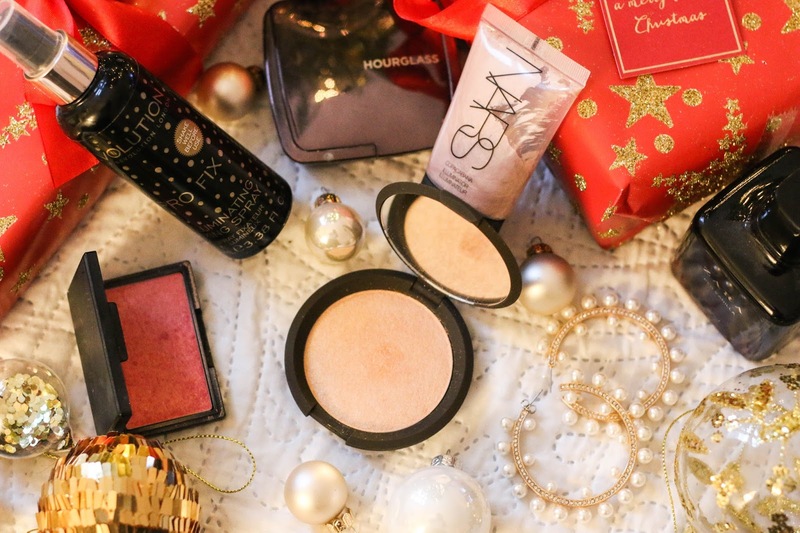 It truly lights up the face and catches the light beautifully. I can wait to dust this all over my face when I get ready for Christmas. if you prefer liquid highlighter theres only one I can recommend and that is the Nars Illuminator in Copacabana. there are more shades to the range to suit your skin tone but I find the Nars illuminators so easy to work with and can do a very light glow if you don’t like a heavy highlighter. my favourite blush for some extra glow which i have been using so much recently is sleek rose gold. 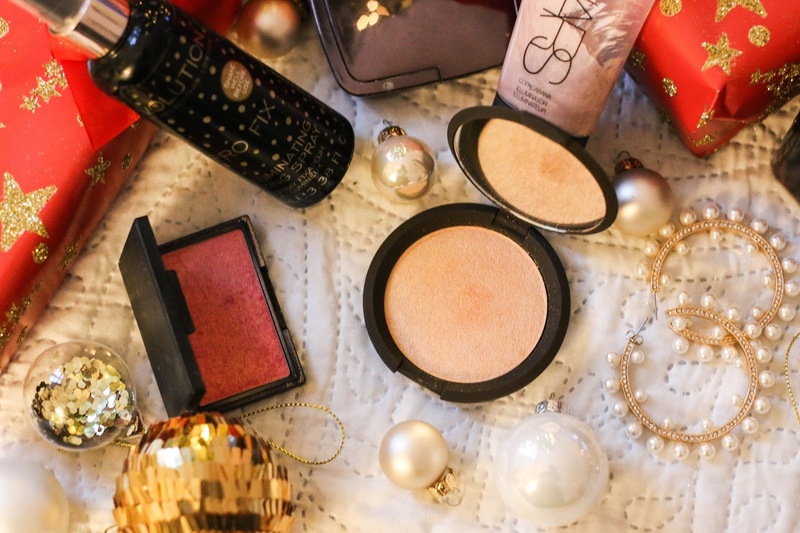 the perfect blush for every occasion and it makes you look awake after a Christmas party or after a night of binge-watching Christmas films and it’s very affordable too. to set my glow I like using a light reflecting powder like the hourglass ambient lighting ones and also a setting spray such as the makeup revolution pro fix to make sure my makeup lasts and glows all night. 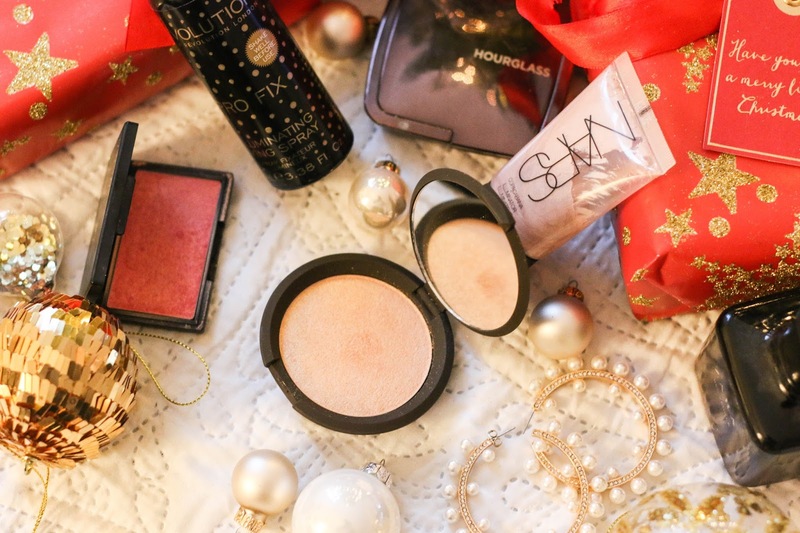 do you like a glowy Christmas makeup? whats your favourite highlighter?